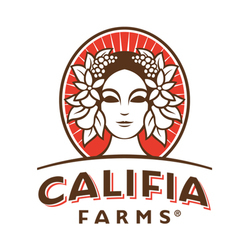 Congratulations to Califia Farms, a 2017 and 2018 sponsor of Southwest Invasion. Best known for its innovative plant-based beverages, it was announced at the beginning of July that it has closed another round of funding that brought in over 50 million dollars. Califia will continue to increase its company owned manufacturing capacity in California and further develop the growth of their plant-based milks, non-dairy creamers and cold brew coffees as well promote the launch of their new line of probiotic dairy free yogurt drinks. In addition, Califia has begun to work with a group of actors, musicians, athletes and entrepreneurs who support the values of a plant-based lifestyle that includes Jared Leto, Leonardo DiCaprio, Karlie Kross and more. During the 2018 Southwest Invasion, the Califia booth was a very popular stop for people who wanted to try their delicious cold brew. They also hosted a morning rooftop yoga class for SWI attendees at Whole Foods in Austin. © 2019 - Quantum Collective. All Rights Reserved.